Kathy Nida describes her process as dreams that become her art. She has a BA in Studio Art from UC Irvine, focusing on ceramics, photography, and printmaking. 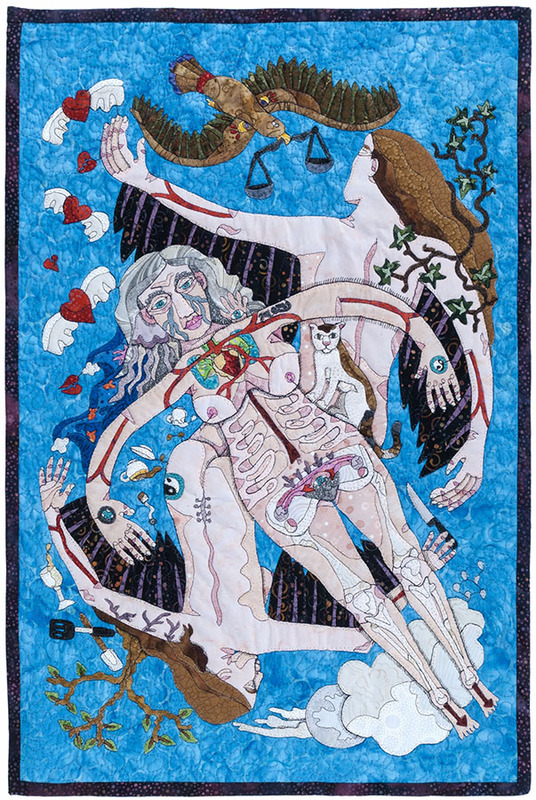 She has been printmaking and making quilt art for over 25 years, working in embroidery for over 30 years, and exploring images of women since birth. Nida lets memories, good and bad, reconcile with pen and paper; these days, they translate into the texture of fabric, beads, embroidery, paint, and pen. She trusts her subconscious ability to allow each object to coexist within the whole.